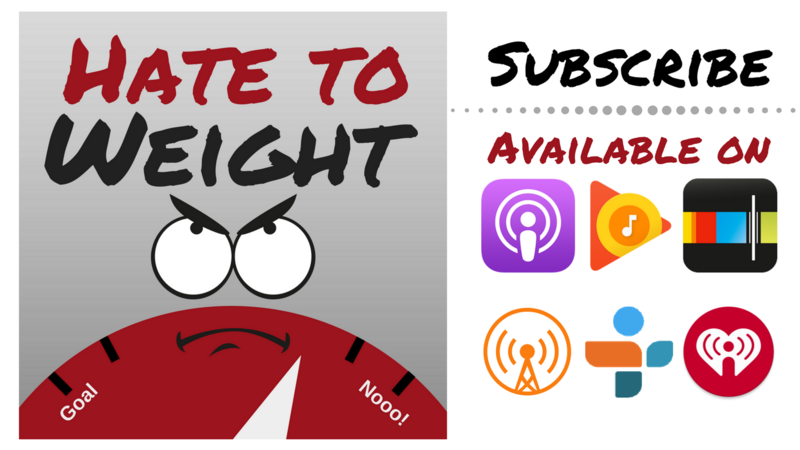 Hate to Weight takes you on a journey with two podcasters and friends who check in with each other every week and talk about their struggles and (hopefully) triumphs with weight loss. John and Emily talk about the different diets they've been on and methods of weight loss and hopefully find one that is ultimately successful. Want to join along? Join the Facebook Group to commiserate about being hangry, post SVs and NSVs (Scale Victories and Non-Scale Victories) and join the conversation. John and Emily are both podcast editors and podcasters who find themselves sitting on their butts a lot of the time and have both struggled with weight for most of their lives. While they're no doctors, the money they've both spent on books, products, and programs for weight-loss could probably have paid for each of them to have gone through medical school.